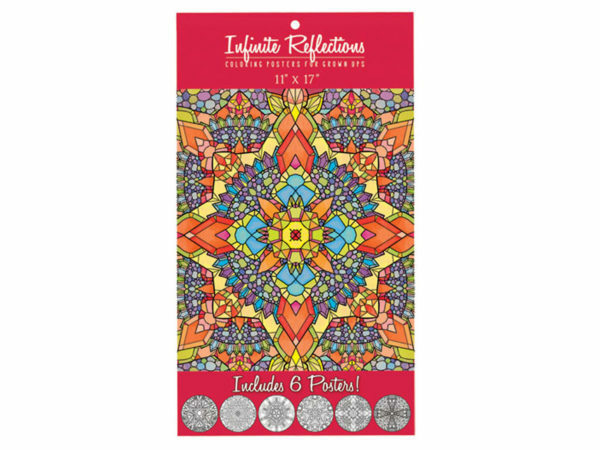 Color and relax with this 6-piece Infinite Reflections Adult Coloring Poster Set featuring large posters with mandala-inspired designs on heavyweight paper. 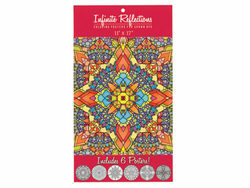 Prints vary from simple thick-lined patterns to intricate, thin-lined designs. Posters measure approximately 11" x 17". Comes packaged in a poly bag with a header card.